We are pleased to announce that the Board of the SVR's Rolling Stock Trust decided at its meeting on 8th September to admit The 82045 Steam Locomotive Trust to membership. The full implications of this have still to be studied, but it is very good news for us and we wish to extend our thanks to the Trust Board. 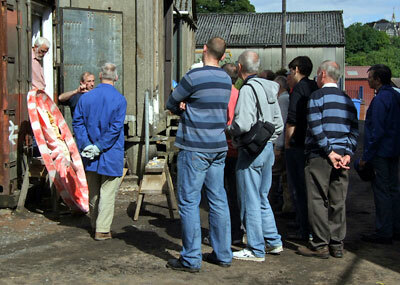 A more detailed item will appear on the website in due course. The frame plates are set up on the milling machine at the Boro' Foundry but a failure of the magnetic clutch has slowed work down. 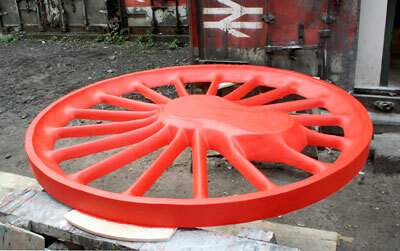 We are still expecting delivery in time to get a coat of paint on before the weather turns. One halve of the pattern nearing completion. There's a blow-by-blow account of its construction on the GW(SVR)A website. 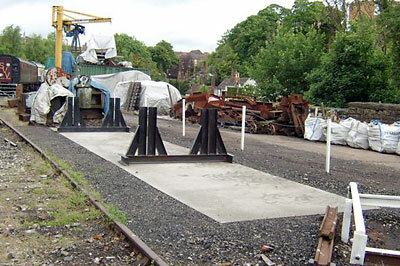 The completed concrete pad at Bridgnorth with the frame supports set up ready for the delivery of the frames. 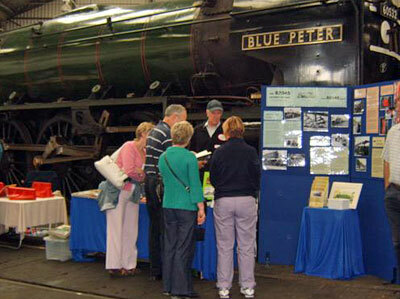 The 82045 Steam Locomotive Trust information stand at Barrow Hill set up in front of 60532 Blue Peter.